New trends in education are always cropping up as countries compete to foster and produce the smartest, most promising students. But the measures to determine “success” and “intelligence” are often controversial standardized tests and don’t take into account the general mental, social, and physical well-being of kids. So we decided to take educational matters into our own hands and highlight some of the international trends that we wish our test-heavy, recess-reducing country would consider. These seven education wish list trends include universal preschool, nature education, and even a school clean-up tradition that builds responsibility and community. While some of these trends will likely not come to pass anytime soon, such as France’s carefully composed, unhurried lunches, we have hope that policy makers will realize that schools can do so much more than simply teach our children how to take a test — and incorporate these practices for happier, healthier kids. In Japan, young children practice O-soji or Soji no jikan, a “cleaning time.” In an attempt to teach children how to respect their space, kids pick up after themselves, help clean the schools, and even help serve lunch. This practice is all part of Japan’s emphasis on collective responsibility and independence, and it sends the message that everyone needs to do their part to keep the greater community thriving. Japanese kids typically have less homework than many other high achieving countries, yet even with this reduced amount of homework, they still manage to perform well on international assessments. Forest schools are beginning to pop up in the U.S. (see lead image from Cedarsong Nature School in Washington) but several Scandinavian and Western European countries like Germany have made an art out of bringing the outdoors inside and, equally if not more important, getting kids outside! 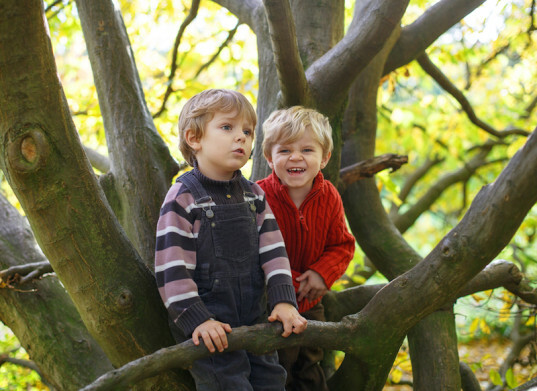 Not only does nature education help kids become in tune with their surroundings and gain an appreciation for the natural world, it also plays an important part in bringing what children learn in the classroom into real life through application and observation. A growing trend in Sweden to teach teachers how to incorporate more outdoor ed in conjunction with their curriculum is being supplemented by the country’s commitment to updating and revitalizing playgrounds throughout the country. President Obama’s push for universal preschool is a welcome initiative. The U.S. falls behind a plethora of countries with regard to early childhood education, and a quality preschool experience can help children get excited and prepared for school and serve as a way to provide extra assistance to littler learners who may need the boost. 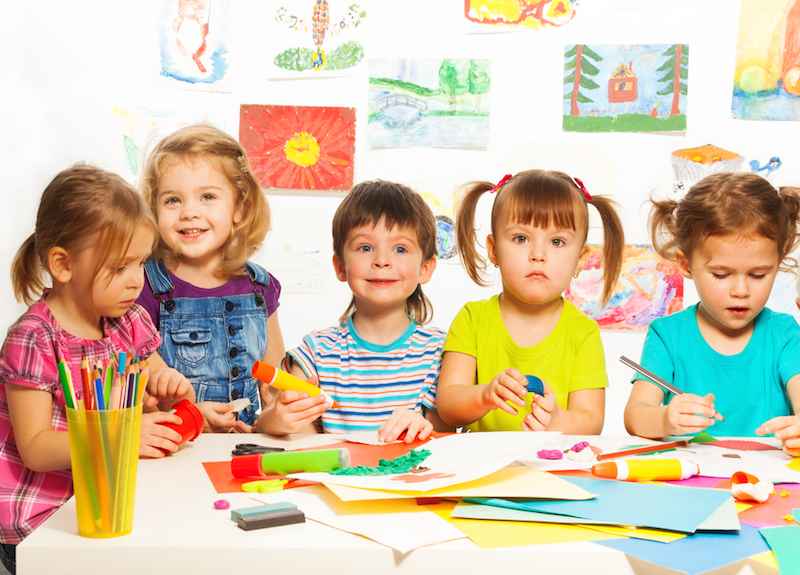 Less than 70% of American four year-olds (as of 2013) were enrolled in preschool. As comparison, the UK enrolls at least 97% of its four year-olds in preschool. Russia enrolls 75% of its four year-olds in preschool. Other countries also emphasize even earlier education. Many children begin school in Belgium at 2 1/2 years and in Denmark, kids are enrolled at age 1! Other countries with a large percentage of three and four year-olds attending preschool include Israel, Japan, and Poland. 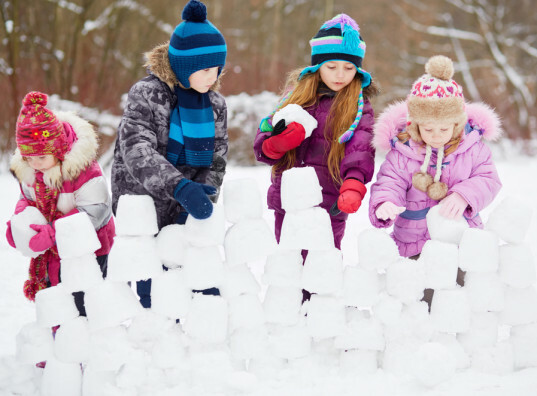 Consider most schools in the U.S.: now reduce the homework and even the hours spent in school, toss the standardized tests, and place a value on creative play and cooperation rather than individual excellence . Oh and pay the teachers (who are all required to have a Master’s degree) generously. Now you’ve got Finland’s approach to educating its young. And yes, despite all these “counterintuitive” practices, Finnish students still rank among the highest in terms of international test scores. While we’re on the topic of Finland, may we also suggest supporting the families of the growing youngsters with flexible parental leave and the opportunity for either parent to stay at home with a child under the age of three (and receive a child home care allowance)? The ever evolving quest to pack a healthy school lunch that your kids will actually eat (and that survived several hours in tact in their cubby until lunchtime) doesn’t exist for most schoolchildren in France, where the government creates a daily menu of fresh foods with the help of dietitians. 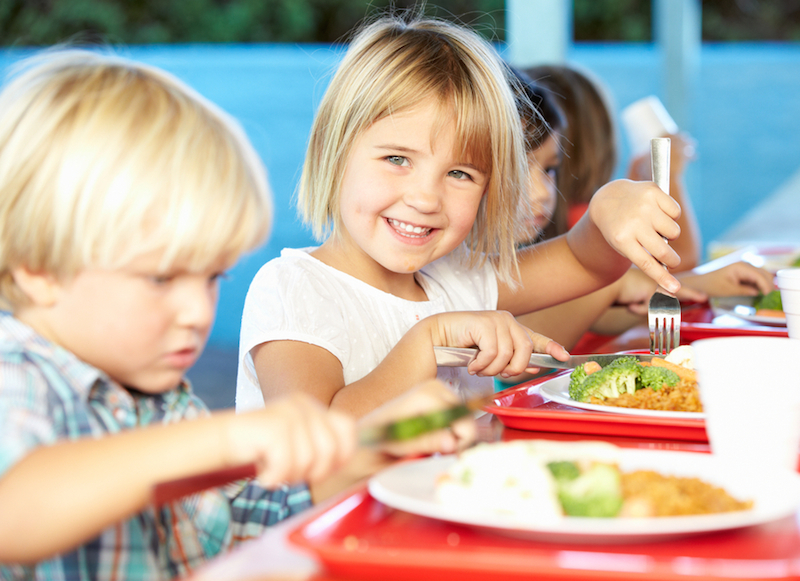 The typical French menu is more meat-y than we would prefer, but there are often tasty prepared vegetables, salads, and fruit offered in portions to sustain kids throughout the day. We also love the reverence for a sit-down mealtime, which means kids don’t resort to stuffing food down throats so that they can take advantage of a brief recess. Many of the items are sourced locally, with schools trying to incorporate organic foods onto the menu. The schools even provide parents with suggestions for dinner to complement what the children are eating for lunch! While some parents might find those suggestions intrusive, others who struggle to find healthy, varied ideas for meals will appreciate the help. Kids spend around 8 hours a day mostly sitting at desks in school. Many come home and slouch on the couch while operating any number of smart devices, contributing to inactivity and sedentary health issues. In a small experiment in Melbourne, one primary school swapped out traditional desks for adjustable height desks that allow the students to sit or stand based on their preference. 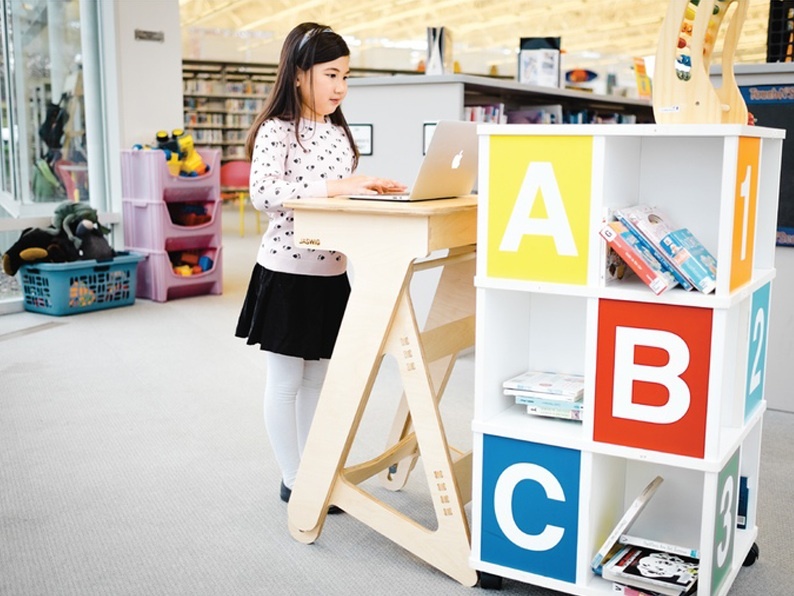 And recently, a U.S. and Belgian maker of ergonomic furniture, created the StandUp desk for kids; they demolished their Kickstarter goal and have begun working towards production. They might be on to something: the White House reportedly requested $700,000 last month to fund standing desks for Obama administration employees! These adjustable height desks may not fix the need for recess and exercise throughout the school day, but at least they allow kids the opportunity for a little movement and energy release. Singapore’s high school students were recently assessed to be the smartest among any in the world, yet this country bucks the trend of increasingly frequent and widespread computer use during school. While teachers in Singapore (and in several other high performing Asian countries including China), increasingly use computers for lesson planning and collaborating, the students don’t rely on computers at school nearly as often as those in other countries. Singapore’s youth still spent their fair share of time on computers outside of school, but time at school was more limited. We do wish, however, that they would lighten up on the homework! New trends in education are always cropping up as countries compete to foster and produce the smartest, most promising students. But the measures to determine “success” and “intelligence” are often controversial standardized tests and don’t take into account the general mental, social, and physical well-being of kids. So we decided to take educational matters into our own hands and highlight some of the international trends that we wish our test-heavy, recess-reducing country would consider. These seven education wish list trends include universal preschool, nature education, and even a school clean-up tradition that builds responsibility and community. While some of these trends will likely not come to pass anytime soon, such as France's carefully composed, unhurried lunches, we have hope that policy makers will realize that schools can do so much more than simply teach our children how to take a test -- and incorporate these practices for happier, healthier kids. embed video https://www.youtube.com/watch?v=jv4oNvxCY5k In Japan, young children practice O-soji or Soji no jikan, a “cleaning time.” In an attempt to teach children how to respect their space, kids pick up after themselves, help clean the schools, and even help serve lunch. This practice is all part of Japan’s emphasis on collective responsibility and independence, and it sends the message that everyone needs to do their part to keep the greater community thriving. Japanese kids typically have less homework than many other high achieving countries, yet even with this reduced amount of homework, they still manage to perform well on international assessments. The ever evolving quest to pack a healthy school lunch that your kids will actually eat (and that survived several hours in tact in their cubby until lunchtime) doesn’t exist for most schoolchildren in France, where the government creates a daily menu of fresh foods with the help of dietitians. The typical French menu is more meat-y than we would prefer, but there are often tasty prepared vegetables, salads, and fruit offered in portions to sustain kids throughout the day. We also love the reverence for a sit-down mealtime, which means kids don't resort to stuffing food down throats so that they can take advantage of a brief recess. Many of the items are sourced locally, with schools trying to incorporate organic foods onto the menu. The schools even provide parents with suggestions for dinner to complement what the children are eating for lunch! While some parents might find those suggestions intrusive, others who struggle to find healthy, varied ideas for meals will appreciate the help.